Whatever your zodiac sign is, we have the deck for you! Get only the one with your sign, or collect them all! A "stellar" deck! 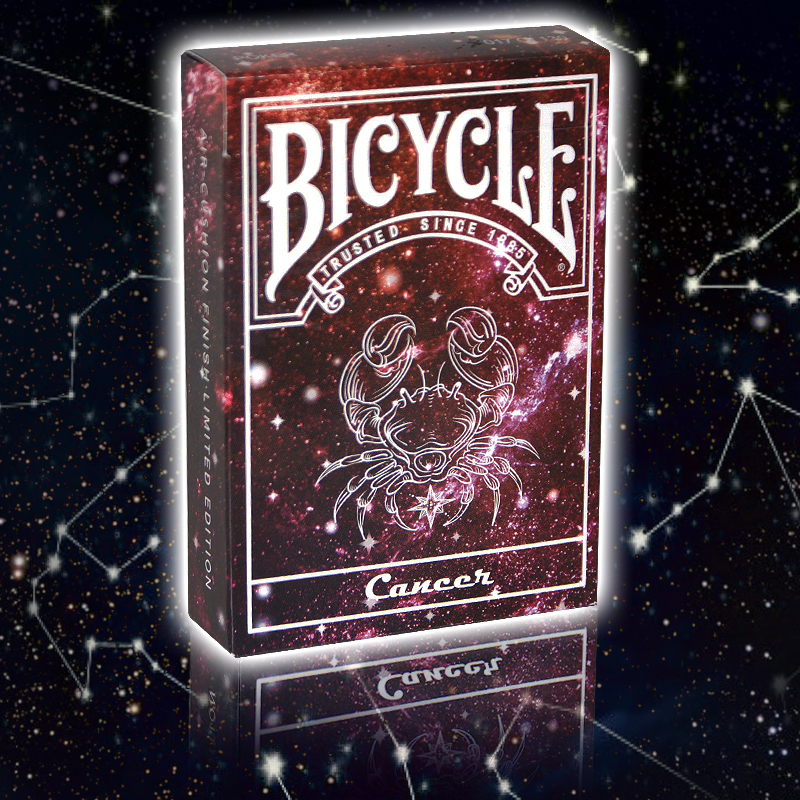 These new beautiful Bicycle playing cards are a lovely tribute to the various constellations and the relative Zodiac signs. The Decks are blended in the characteristics of the respective sign. The card stock used is just right (neither to hard or too soft). The Joker is the stellar map and personification of the zodiac signs. The design in the back ground is the boundless starry sky which gives an intense sense of profound. • The cards are poker size and of the usual Bicycle quality. • Limited Edition.